Immediately upon retirement from corporate life, I co-authored NEEDS Selling Solutions, a work of non-fiction to help salespeople sell more effectively. Soon after, I had the bug and started to work on a novel. Yes. Selling! I’ve learned it actually takes as much effort to promote and sell a book as it takes to write a good story! My stories are all what I like to call “novels of corporate intrigue.” While my first mission is always to entertain, I have great concerns about the ability of organized crime to infiltrate and permeate legitimate businesses–even the largest corporations. 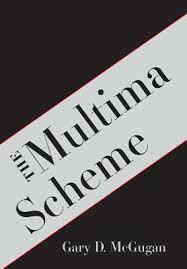 So, I hope stories like The Multima Scheme make people more alert and aware of methods such nefarious forces may use. My books all use a lot of ‘life-research’. More than 40 years working at senior levels of large multinational corporations provided business insight for my stories. The opportunity to work with companies in more than 35 countries imparted knowledge about life and living in those countries. Winters in Southern climates each year nurture more intimate insight into the special qualities and quirks of other cultures. I’ve celebrated only 17 birthdays. In addition to English, I speak French fluently and dabble in both German and Spanish. I try to walk 8-10 km, 3-4 times per week, at the quickest pace possible. I eat only plant-based foods. Who do you think you are? Tell us how you define yourself? I think I’m a citizen of the world. Travel is ingrained in my psyche. Learning about people and their circumstances powerfully influences my interests and thought processes. What kind of promotions do you do for your books? Author signing events at Chapters-Indigo have proven most rewarding. Over the past 6 months, I’ve enjoyed promoting my stories in twenty-five different locations across the GTA. What has been your experience with literary guilds or groups? 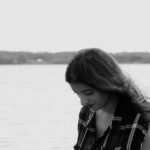 My only writing associations are with the Writer’s Community of York Region and Florida Authors and Publishers Association. Both provide great insights and knowledge. I encourage anyone who inquires about writing to join and participate in such groups. They’re invaluable! They say authors have immensely fragile egos… How would you handle (or how have you handled) negative criticism or a negative review? I welcome critical review! Early in life, I realized the immense value of critical feedback. There is no better learning experience as we can truly benefit from different perspectives and outlooks. There isn’t a right or wrong way to do almost anything. If I can learn a different way to expand my toolkit, I welcome it! Walking invariably generates my most productive ideas. When I walk, I focus on thinking–no headsets, no distractions. After about 30 minutes of walking, I can usually solve almost any problem with a story and generate new ideas about direction, plot or characters. Describe your writing work environment. Boring. I have a large, comfortable office in our basement. 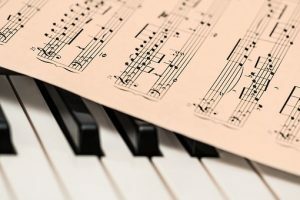 I listen to classical music while writing. I take breaks every hour to stretch, think about other things for a few minutes, and maintain discipline. Very boring! I edit frequently—about every 50 pages. I go back to the start each time to maintain flow and story consistency and find this method lets me identify small issues before they become serious ones. I’m also passionate about editing. In my mind, there is no more important part of the writing process than ruthless editing. I try to write or edit every morning from 9-noon. Blocking this time helps to avoid distractions and develops a habit. Both are essential to maintain discipline. We’d like to thank Gary for participating in the member spotlight. Walking to solve plot-problems sounds like a great way to solve them and generate ideas. We need to keep our mind and bodies moving. We look forward to hearing about Gary’s future endeavours. 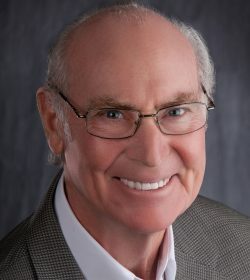 Gary D. McGugan is a business leader, speaker, and author. He has traveled extensively throughout Canada, the USA, Asia, Latin America, and Europe, and has lived and worked in Europe. Gary has worked in a supermarket, sold appliances, distributed motorcycles, launched an automobile dealer network, and provided financing to help businesses grow. These experiences have shaped Gary’s writing career, including NEEDS Selling Solutions, which he co-authored with Jeff Allen, and his most recent novel Three Weeks Less a Day. He resides in Newmarket, Ontario with his wife Linda, and finds inspiration through the love of their daughter, son, their spouses and their three remarkable grandchildren.